Viral videos have become part of the norm in this day and age of technology, so it came as no surprise when yet another video garnered widespread attention in the last month of 2016. While it was originally posted on YouTube three years back, the video features a young boy named Jhomar* spewing profanities towards reclusive individual Jhepoy Dizon. 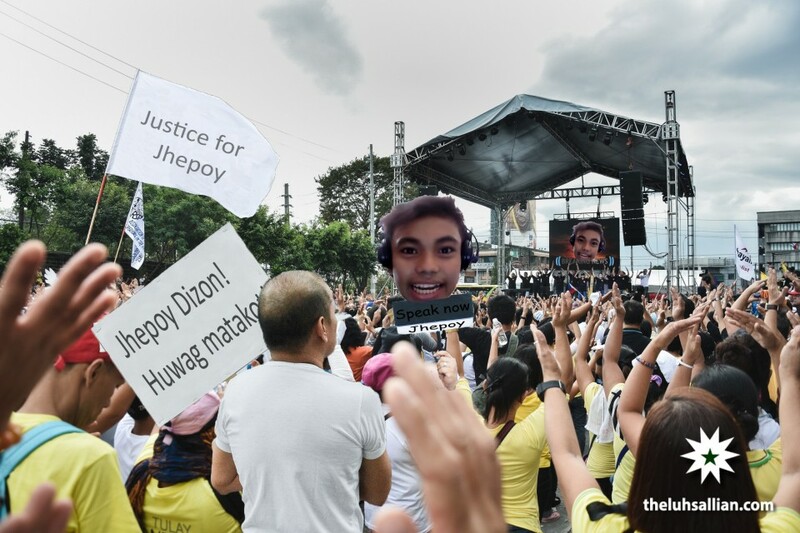 Having avoided the public eye since the video’s release and its spawning of many “memes”, Jhepoy had recently decided to boldly come forward in order to tell his side of the story, and to explain what really caused his falling out with his former friend. Now a college junior taking up Software Technology with a specialization in Game Development, Jhepoy felt like it was about time he addressed the online harassment, especially since the public scrutiny had finally died down. Tall and lanky in a plain t-shirt and jeans, Jhepoy walked in with slumped shoulders and had his head bowed down, still seeming rather hesitant to push through with the exclusive interview with The LaSallian. “It was just a game,” he starts, looking down at his feet and avoiding any eye contact. As with any game or tournament, be it online or outside in the real world, it was an instance of engaging in competitive taunting to infuriate an opponent, for the sole purpose of inciting a more interesting and invigorating experience. While he was too embarrassed to disclose which online game they were playing, Jhepoy did give us clues. “It was in y8, a Sue game,” he sighs in humiliation. After a while, he did own up to the fact that he did indeed call his friend a bunch of unpleasant names while playing against him, which was what caused Jhomar* to lash out so violently. “I didn’t think he would be so affected by what I said; I honestly thought he would take it lightly since for me it didn’t have any deeper meaning,” Jhepoy confesses. Jheopoy also explains that he is the one who lives in the subdivision while Jhomar lives in a squatters area, but for him, it doesn’t matter. He doesn’t want to brag—even though he mentions that he actually owns the guitars in the background of the video, saying, “He never returned them to me.” In addition to that, he also passively mentions that he actually owns a Macbook and he gave Jhepoy his old laptop because he always stayed in computer shops. “While I deserve that video, I just wish he didn’t lie to make me look poor,” he says. “I mean, my dad is his dad’s employer,” he adds, shaking his head in disappointment. While he does regret that the situation got as bad as it did, and that it managed to draw the attention of the public eye, Jhepoy believes that there is still hope for him and Jhomar* to become friends again in the future.